“To date, based on information available, CJTF-OIR has assessed that, it is more likely than not, at least 188 civilians have been unintentionally killed by coalition strikes since the start of Operation Inherent Resolve,” the US Combined Joint Task Force – Operation Inherent Resolve said on Monday in its monthly assessment of civilian casualties from the US-led coalition airstrikes. “CJTF-OIR regrets the unintentional loss of civilian lives resulting from coalition efforts to defeat ISIL in Iraq and Syria and express our deepest sympathies to the families and others affected by these strikes,” the statement continued. “Although the Coalition takes extraordinary efforts to strike military targets in a manner that minimizes the risk of civilian casualties, in some incidents casualties are unavoidable,” the task force added. The coalition received 16 new and assessed seven previously received reports on possible civilian casualties during November 2016. However, only five of them were found credible and proved that airstrikes led to 15 unintended civilian deaths, according to the coalition. Thirteen reports were “assessed to be non-credible,” and five reports were still being accessed, according to US military officials. The majority of the reports labelled “non-credible” shows an alarming lack of intelligence available to the US-led coalition, believes former Pentagon official Michael Maloof. “The United States is supposed to double check and triple check, make sure that there’s no such thing as civilians in harm’s way. But, given the reality on the ground there, it’s the case," Maloof told RT. Officials are currently probing the strike on December 29 which targeted a van of the Islamic State militants. “The van was struck in what was later determined to be a hospital compound parking lot resulting in possible civilian casualties,” the task force said a previous statement. At the end of December 2016, the coalition backed by the US had conducted more than 17,000 strikes against Islamic State, according to the US military. More than 10,000 took place in Iraq and over 6,000 in Syria. 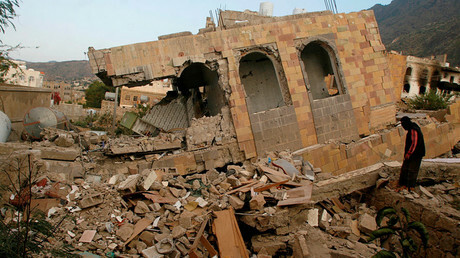 The US-led coalition regularly carries out strikes to support ground anti-terror operations in Iraq and Syria, some of which results in civilian casualties. Human right groups however, claim that the US is understating the civilian death toll, with Amnesty International insisting that at least 300 people were killed in just 11 airstrikes that were probed. 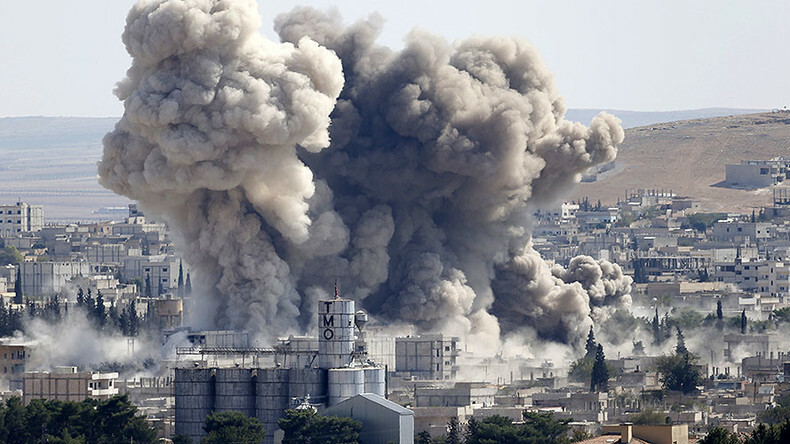 The US-led coalition, consisting of more than 60 states, began conducting airstrikes against Islamic State in Syria and Iraq in 2014 without authorization from the official Syrian government or the UN Security Council.